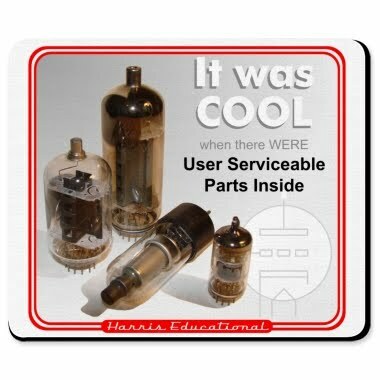 Fan of the Blue Tube Project Harris Educational has launch there own line of t-shirts designed for retro experimenter, steam punk, and general geek hams who love tubes and vintage electronics. These T's reflect the Reinventing Science kits, Reinventing Edison: Build your on Light Bulb and Reinventing Morse: Build your own Telegraph, with more on the way.) All kits are hand-made here in the USA, sold through Maker Shed, Edmund Scientific, Science Kit, Educational Innovations and more.